Been Waitlisted? Check Out This FANTASTIC Table of College Waitlists! If you’ve been offered a place on a college waiting list, don’t hold your breath! This year, colleges have offered more students on their waiting list than their entire freshman class size. Brown University admitted 2,566 students to fill 1,719 spaces for their freshman class this fall. Considering this is an elite Ivy League college, they should easily receive deposits for all of these spaces. Right? Well then why did they offer an additional 2,724 students a place on their waiting list? Brown isn’t alone. Just about every college offers waiting list. Not only do colleges want to unsure that they have a full class of freshmen but these waiting lists give colleges the stats to keep their admit rates low. Many families rank their colleges choices by admit rates – the more difficult it is to get in, the more desirable it becomes. Simple supply and demand. Why Do Colleges Admit Students In Front Of Video Cameras? Many colleges have changed their marketing strategies to recruit top students. Instead of sending the “large envelope” to congratulate students on their acceptances, colleges are sending giant mascots, balloons, and gifts to their most coveted applicants. At Merit, students have received handwritten letters from the dean, and Yale actually called one of my daughters three times to encourage her to accept their full-scholarship offer. Wheaton filled a bus with admissions officers/staff and drove out to a student’s high school to surprise her with the news (captured on YouTube). These stories have gone viral on social media building hype about college acceptances, which only benefits the colleges and the very few who get in. I wonder if this type of extravagant marketing leads to self-doubt, anxiety, and depression among the tens of thousands of students who don’t get into their top colleges. When these other students see colleges rolling out the red carpet and offering gifts to a few lucky students, the vast majority of college applicants may suffer in silence as they receive rejection letters. Social media already creates an unrealistic view of how “happy and successful” everyone else’s lives are compared to themselves. At Merit, I recommend that students keep their college lists, GPA, and SAT/ACT scores to themselves. That way, if they get rejected from their top colleges, they don’t have to share that sad and disappointing news with their friends, relatives, and social media. It’s tough enough to deal with rejection when students open those small envelopes. Having dozens of people ask if they got in or having video cameras on them as they check their inboxes, can be devastating. I hope colleges stop their public hype about accepting a few students to promote their brand. Let’s give all students the decent respect of choosing their colleges and making those final announcements privately. If you’ve been accepted by “reach” colleges, but waitlisted by your “safeties,” you’re not alone. Strong students (GPA 3.9 and SAT 1400+) are being rejected by UC Davis, UC Santa Barbara, and UC San Diego. Top students are being waitlisted, when they would normally be accepted. Why? Last year, UCs received more deposits to enroll than expected, which put them in a precarious situation. UC Irvine actually revoked about 500 acceptances because they didn’t have space to accommodate their incoming class. But amidst public criticism, they reversed their revocation and allowed most of the 500 students to attend that year. To ensure that none of the UCs faced the same situation this year, many UCs, especially the middle-range campuses, are offering waitlist positions instead of acceptances. On May 1st after they receive all official deposits, they’ll admit students off the wait list. With the cost of private college tuition soaring ($40,000-65,000/year), many California families are opting for the less expensive public college tuition ($18,000-30,000/year). Just be prepared as you receive letters from the California public universities in the next few weeks; your “target” or “safety” colleges may offer disappointing news. Is your high school keeping up? Finally, colleges are recognizing that GPAs and SAT/ACT scores alone don’t give them enough information to select students who have potential for success in college. I’ve watched Merit Academy students do projects throughout their 4 years of high school for the past 18 years. Doing these individual projects over their entire high school tenure gives students a sense of confidence and pride that they don’t get from working for grades and standardized tests. Brainstorming and developing projects requires research, analysis, public outreach, and creating budgets. As teens delve into these new and exciting steps, it helps them explore future careers. Each student becomes interesting and fully vested young people. I am thrilled that other schools are also giving students access to these opportunities instead of forcing them to take AP classes and bury themselves in memorizing facts for one test at the end of the year. America needs to provide our youth with skills to compete in the ever-changing world and we need to rethink what teens learn in high school. What If Every Student Did An Independent Project? It’s not surprising to see the mudslinging between the Baby Boomers and the Millennials. After all, who’s to blame for the insidious state of affairs that have developed over the decades? Is it the selfish and indulgent Boomer who made tons of money on real estate (when it was nearly impossible not make huge financial gains buying houses in the ‘70s and ‘80s) or the entitled lack-luster Millennial who is strife with student debt, housing crises, and low-paying jobs? I’m not going to enter this contentious arena, but instead offer a solution that may bring everyone together – and could possibly save human civilization. We need people who are not part of a government that has fired the scientists in our EPA and stripped funding from all climate-related research. We need people who aren’t controlled by special-interest groups whose hidden agenda is to make colossal profits and creates environmental degradation. We need people who realize that we need to drastically reduce carbon emissions NOW and are willing to do the research, make personal changes, and promote community action. To do this, WE NEED OUR YOUTH! Yup, it is going to be the Millennials who are going to bare the brunt of climate disasters and they are the ones who will pull us out – and yes, save the Boomers. But the beauty here is that the Boomers are going to support the Millennials with their knowledge, experience, and funding, and the Millennials are going to do the work, spread the word, and ultimately save us all. Every high school and college student needs to do a project. Projects can be as simple as promoting alternative transportation or as involved as building energy systems or carbon sequestration solutions. Retired professionals will mentor the students as they complete each phase of the projects. Other Boomers will fund these projects and support/buy the products when they’re rolled out. When 4 million students enter high school every year in the United States, just imagine how many problems they can solve before they graduate. Besides, these projects will help them get into top colleges/grad schools and win scholarship dollars! 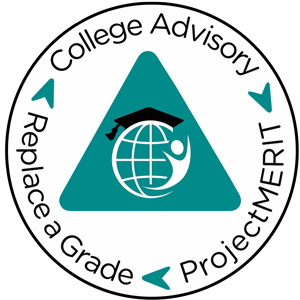 To learn more about how to do projects, check out ProjectMERIT. I’ve also written Beat the College Admissions Game: Do a Project! to guide students through the entire process of doing a project. So, let’s encourage our youth to find innovative solutions to climate change by supporting and guiding them through the process. Stop the name calling and start working together. It’s going to take the Millennials to lead the 99% to save human civilization. Normally, I charge into the new year, pretty much the way I closed the previous year, with exhilaration, hope, and determination. But this year, I’m worried about our future generations. Ever since the Industrial Revolution of the 18th century, we have “improved” our lifestyle by making things go faster, easier, and cheaper – and we have reaped the benefits of becoming an incredibly efficient and wealthy society. Our children, however, are now facing financial uncertainty and the pressing question of how human civilization is going to survive the positive feedback loops caused by too much CO2 in our atmosphere – among other things. … have 300% more student debt than their parents? … tend to live with their parents rather than roommates? … are delaying marriage longer than any previous generation? … are half as likely to own a home as people their age in the 1970’s? … are delaying having children longer than any generation in history? … (20%) are currently living in poverty? … will probably not be able to retire until they’re 75 years old? Hey, if you’re not a millennial, don’t pat yourself on the back and look the other way. And, don’t blame them for their predicament. We need to support our youth as they venture into careers that will solve our social, environmental, medical, and economic problems. Unless we help fix these problems and get our future generations back on their feet, all of the above will become the future America, and then we’ll all be in trouble! That said, the highest paying jobs are in engineering, health sciences, and business. But, be careful when choosing your major/career. Many majors focus on specific skills, knowledge, and training, which means that when that niche market changes – or disappears due to technological advances – so, too, may your job! With the ever-changing technological fields, make sure you’re keeping up. Do your homework to ensure that you are on top of your game! Careers: For information on available positions, please send a resume and inquiry via our online form here.